The Jackson Hole valley is approximately 97 km (60 mi) long and 24 km (15 mi) wide, encompassing the town of Jackson, Teton Village, and the northern section of Grand Teton National Park. Originally populated by Native American tribes, it became a popular area for European trappers in the early 1800s. Surrounded by rugged mountains and home to an array of wildflowers and picturesque rivers, Jackson Hole is a great place to relax on vacation and enjoy nature at its finest. In contrast, if you are interested in a more active holiday, a trip here during the winter can provide you with some of the best skiing in the country. The low-lying plain is rich in fauna, home to the largest elk herd on earth, along with bighorn sheep, moose, grizzly bears, gray wolves, and more. As well as natural beauty and adventure opportunities, Jackson Hole boasts a number of entertainment options, including a theater and live music venues. Jackson Hole is in Wyoming (WY). 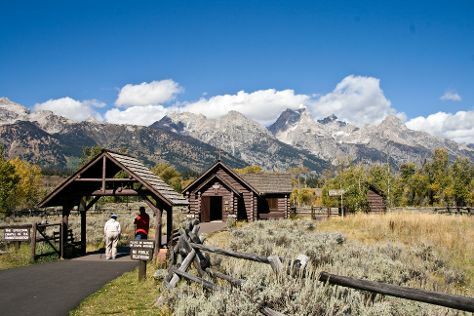 Use our custom trip planner: Jackson Hole and all its delights await.